Customer requirements have traditionally been a very slippery aspect of manufacturing data management. Because it involves multiple divisions of the company, the information tends to be stored in multiple places, using multiple software products, by multiple employees. Requirements are isolated, duplicated, or hidden behind poorly designed custom data management systems. It is not a problem only for SMB manufacturers; even the largest companies have problems with customer needs management. In the 1990s there was a highly cited study at Texas Instruments that measured the problem of poor management of customer needs information. 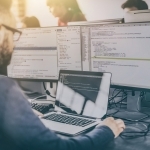 Researchers found that the failure to capture, organize, and stay up-to-date with customer requirements led to “runaway development costs” 70% of the time. Seven in 10 projects that failed in keeping requirements up to date went over budget or got significantly behind schedule. In many companies, the problem of customer needs management starts with an inability to turn sales order data into actionable engineering information. An initial audit of customer needs management workflow, as Razorleaf does for clients, will often find a sales order system that uses different definitions for product structure. Sometimes the broken communications link is between the engineering BOM and the catalog information. These kinds of problems are especially common in complex business electronics, building systems, machine tools, and other highly variable or made-to-order operations. No development process will deliver a successful product to the customer unless stated requirements are tightly aligned with engineering requirements. Bringing customer needs management into the product lifecycle development (PLM) environment is the best way to gather, manage, and utilize marketplace requirements and deliver according to customer expectations. When ideas are captured up-front, they can be shared with full transparency in the organization. Customer needs data becomes as searchable as BOM data, accessible and useful for everyone. New orders can be compared with older proposals, making it easy to understand, act upon, and even create innovative responses. A contemporary customer needs management system lets users identify, track, and trace every kind of requirement: physical, logical, performance, cost. #1: Validation: Are you building the right product? Have you completely understood the customer? #2: Traceability: Are you building the product correctly? Does documentation match stated requirements? #3: Version Control: Is there full-circle communication with the customer? How do current requirements compare with past versions? Is CAD version control in sync with requirements? Cross-discipline communication: Create a workflow that provides employees in multiple departments and locations with access to the same product requirements interface. Addressing cross-discipline issues like requirements trade-offs (over cost, schedule, quality, or regulatory constraints) saves everyone time and saves the company money when dealt with up-front. End-point definition: One workflow that experienced companies find especially helpful is to establish end-point definition. When a quantifiable way exists to prove an idea offers too much or too little content, all stakeholders can more quickly agree when an optimal design solution has been reached. Quality and conformance: Quality in manufacturing is often defined as conformance to requirements. Tracking conformance as it originates in customer requirements is the best way to guarantee a quality outcome. All data types: Use text documents, scanned images, URL links, photos, and even video as useful data to document customer requirements. External requirements: Design elements required by regulations or other outside influences must also be part of the customer needs record. Compliance: Any customer needs management system must offer a full audit trail, including change history. CMMI 5 support: Many manufacturers use the CMMI (Capability Maturity Model Integration) method to conform to best standards in processes, including customer requirements. 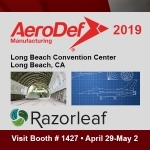 Razorleaf has years of experience helping manufacturers of all sizes bring customer needs data into the PLM “single source of truth.” Our close working relationships with vendors including Dassault Systèmes, PTC, Siemens PLM, Aras Software, and Autodesk means you can get a custom fit for your situation. This valuable data should not be scattered in multiple divisions and stored in multiple solutions.